Your mountain bike dreams will come true. The amazing scenery of our region provides various beautiful routes for novice and advanced bikers. Gain power and energy when hiking in the Pinzgau slate alps, in the national park Hohe Tauern or climbing in the mountains. Our perfect location in the alps and the special climatic conditions ensure your health and fitness. The lake Zeller See is nearby - swim in one of the cleanest bathing lakes with drinking water quality. For our guests, the entrance to the bathing beach Maishofen is for free! 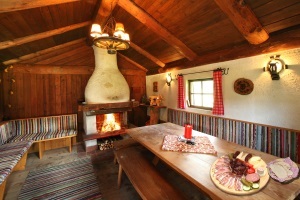 Throughout the year, you can have some snugly time in our chalet in order to grill or have a drink or two with your family and friends in a cosy atmosphere. Winter - a paradise in white! 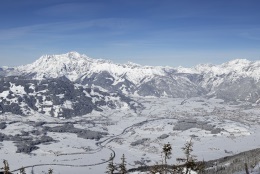 Our central location guarantees a perfect skiing experience for you in the nearby ski resorts. But also besides the slopes, there are multiple recreational possibilities such as cross-country skiing or ice skating on lake Zeller See. 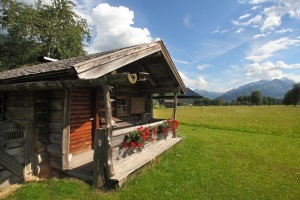 We are friends of the Tauern Spa in Kaprun. Enjoy this unique water-world and take advantage of the special conditions below, just buy your ticket directly from us! Do you have questions regarding our regional offers? Just contact us per email or call us!